Today we will talk to Olga Amraie, the founder and general director of Showmebiz project. Olga, please, tell us some information about your project Showmebiz. What is this platform and how does it work? Showmebiz is a platform. It is an integration of all exhibitions in the world on one platform. We created something like Uber for a taxi, but this is the only application with which you travel around the world, visit various exhibitions, showrooms and enjoy the atmosphere. The most important is that even if you didn`t get to that exhibition, and you are in Moscow or London, for example, you can right now watch what happens at the exhibitions in other parts of the world in live-streams 360 and soon it all will be in the alternate reality. Overall, it will be a very cool thing. What is the role of the Blockchain in the platform? When we created this platform, we put together a lot of different exhibitions from sections of current and future events, there occurred a need to create an archive somewhere. We decided to create the archive on Blockchain technologies. Through the smart contracts we created a virtual exhibition center and divided it into a certain number of virtual facilities. Now we are attracting investors to buy these .Then we rent them out to the companies with whom we work. Those, who bought them earlier, so called co-owners, also get dividends from renting. (about 80% of profits). This is what we call “Expo Block”, isn’t it? Tell us, please, about earning and renting on the platform. How is the profit distributed? How can we get it? We decided to create our own crypto currency, our own tokens inside the system. As Expo-Industry is very global, almost all business goes through Expo. All trends go through the exhibition. This way we launched this token that is inside the systems. Overall, everything is simple. When we speak about Google, for example, we understand that it is a library, a virtual library. We understand that the folders and the information are stored somewhere. We understand what the folders are, but nobody has ever seen them in reality. The same story is in our project. The information about companies is stored virtually, not on the physical panel. The information is on our platform. Anyone can log in 24 hours, 7 days per week and find information about the company, what it presents. In this archive, you can find showrooms, if the company has a presentation video, or what we have filmed earlier with this company, 360 video or list of all products of the brand, for example, “Mercedes” cars. Then we decided that very Expo-Block should have a limited functionality. It will be more beneficial for companies and us. smart contract will clearly understand it is about and what criteria can be used when distributing these dividends. One Expo-Block has one picture, one video, and descriptions in 200 signs. For example, if Mercedes has 50 brands -50 cars or 20 cars and some accessories and wants to advertise through us, they need to rent out 50 blocks. The company chooses itself the period of time and the quantity in its personal account. Everything goes through smart contracts by clicking. There is an algorithm. We see all funds, which came to the virtual exhibition center. At the end of the month, they all will be divided between all token holders (in this case Block holders). 80% of profit will be divided between everybody in the same proportion (in percentage ratio). Every token, which we produce, is supported by this Expo-Block. Every coin has its own Expo-Block. Blocks are kept by co-owners (those, who take part in ICO). Coins are launched as dollars, as a currency that is put into circulation. Great! Earning on the platform is possible only by renting out these Expo-Blocks, isn`t it? That is right if we speak about our co-owners here. Originally, we arranged ICO to attract co-owners and divide these 300 million facilities between people. When they are all put into circulation, then you can earn money on it. For example, there are different task markets, where the companies set such tasks as to comment or leave likes and so on. Our client companies are the same. They want to win popularity, and we have their target audience. If they take part in the exhibition somewhere, they say: “Go to our panel, please, take a photo, like and get tokens as a present.”, or “Share our publication in social networks and get 5 coins as a present”. Each company sets its own conditions and all users can see that. You can take part in it like in task markets. You can also earn in the affiliate program, created by us for users. We did it in gratitude for those, who involve someone. Now we are making a great offer. It will start on 1 February. You will be able to download the App for Android and IOS. There are more than 30 000 exhibitions in it. We have made a bounty-program: when you download the App, you get a coin; when you invite a friend, you get a Promo-Code for you and your friend. This way we will try to get some popularity and make people be interested in the product we create. What about the market`s volume? Is it big in numbers? There is the biggest Association of exhibition industry in the world. It is called UFI. We are the partners of this Association. According to their statistics, around 30 000 exhibitions take place in the world every year. More than 5 million companies, about 286 million people, visit them. These are exact numbers . According to our calculations, if we produce 300 million tokens, we will provide coins for visitors. If 5 million companies rent out 60 square meters on average, that results in 300 million of facilities. Our aim is to make all these facilities occupied and make the companies stand in queue for it. This statistics is great and the industry capacity is 1,7 trillion $,so the market is enormous. It’s very impressive. Are there any similar projects? You are unique in the market, aren`t you? As a founder, what do you think I did first? I registered the copyright of the Virtual Exhibition Centre idea. It is our first product, and it’s mine. Then I went to South Africa as an association partner. The big Congress takes place there once a year with more than 400 partners and organizers from around the world. There were also Expo-owners among them. When I came there, I saw the people, whose companies create the same for Expo-industry. At that moment, I became convinced once again that we were second to none. Everyone creates a good product, but it is different a little. They create individual App for every exhibition. The advanced organizers use it because it is convenient, cool and entertaining. These Apps can have a good navigator or good information section for exhibition visitors, but there is no emphasis on external people in such Apps. What to do with people, who are not in? You came to exhibition, downloaded the App, looked at the company list. Three days later, when the exhibition is over, you must delete the App. Why do you need it more? Every time when you come to exhibition, you have 100 different Apps. We have more emphasis on external user, who can’t visit the exhibition, but could be connected to it. It is beneficial for organizers because it’s their data base and for companies because it is their target audience. We present this database to organizers and companies, so everybody can yield benefits from it. In other words, we created such a platform, which it is beneficial for everybody. Can you tell us about your team and history of your project? When was it created? When did the idea come to your mind? Who is working on the project now? Thank you for this question! The idea came to my mind in 2012 – 2013. I lived in London, and I am living in London now, but now I travel a lot. Once I got to know that there was a great car exhibition in another city, another country – in Germany. I couldn`t be there, but I wanted so much. I was obsessed with this idea. Suddenly, one thought came to my mind: I wanted to experience what was going on there without visiting it personally. In 2015, there were no such technologies as 360 video, virtual reality was associated only with gaming, so it seemed to be such a crazy dream. In January 2016, the biggest Web-Summit took place in Portugal. I had applied there, and they invited me. They had very strong selection criteria. I took part in the first interview, then the second and the third. After the third interview, they say: “Olya, it’s such a cool idea! Come to us!”. At that time, my team was my friend and I.My friend is a programmer and I am an engineer by training and can make the ideas real; I am also a specialist in business automation. I didn`t worked with holding companies, but I had many ideas. We were creating together and then finally presented our idea on the Summit. First, we came there with a start-up idea. Representatives of the Portugese Consulate, the Spanish Consulate, and then Bangladesh showed interest in our idea. Some countries representatives came to us and said: ”Look, we pay you money as for start-up, but, please, do it from our country”. At that moment, I thought that we had really created something interesting. When we came back, I gathered my team and asked them to work together for new projects. I believed that we could create something unusual that would be in high demand. That’s when our history began – on January 2017. Originally, the idea was to integrate all exhibitions. In summer, when the Boom about crypto currency, Bitcoins, smart-contracts began and new technologies started to develop, we had already been creating something cool and had our own automatic archive, so we thought why not to get money from companies for this archive? It is beneficial for them, us and investors. That’s how we turned this idea into a new phase and created virtual exhibition Centre. Do you have a big team now? There are more than 40 people in our team now. We have several departments: one English-speaking market and one Russian-speaking market. There are people from Los-Angeles, who help us to work with the English-speaking audience through social networks. They are our advisors that help us and direct us in the right way. We have our team in London that help us to enter the London market. There are some successful info businesspersons, assisting us, and a team of technician-programmers, who create the whole safety system for banks. I am proud of our team. It is a brilliant team! Great! Let`s speak about ICO more. At first, please, tell us about your aims: Soft cap and Hard cap? It’s the best question I am often asked. When I answer, they usually say: “There`s something in it”. Our project will start working, when we divide out 300 million Blocks. Otherwise, there will not be such a Virtual Centre. How much money do we need to collect? We thought about it a lot. Overall, we have are 2 kinds of scenario: ideal or non-ideal. To sell out 300 million blocks at the rate of 1 $ and get 300 million $ would be a perfect scenario. If they all are not sold and the project should be launched, we will use the other variant. We divide all unsold tokens between the previous owners (those, who take part in ICO). We also had the second variant. If there is 1 million left out of 300 million and the cost is only 1 $ or half-coin – it will not be interesting, so we decided to encourage those, who has believed us, and made VIP-packages (VIP-cards). If you play with the big boys, let`s share the unsold ones like big boys. This how we attract VIP-investors, with investments starting from 10 000 $. If it is more than 10 000 $., there is also a special bonus program. If you invest 10 000 $, you will have plus 5% tokens. If you have 100 000 $ and more, you will have plus 20% tokens, except all previous bonuses. The coins, which are left unsold, will be divided between these co-owners. Many people ask me what If, suddenly, the coins` price falls. I say, “Don`t worry”. Our aim (my aim as a manager) to make everything possible to make a boom among the companies that will rent out our facilities. Now, what about the price? According to our calculations, the coins price will be 1, 75 $ in August. The company will be renting out the space for August at this price. If the company pays for a year ahead, that will be the same price. If it raises, it`s perfect. If it goes down a little on the market, we will support the course, and it will be the investors` guarantee. Our company takes responsibility for that. It is my rule of thumb: to provide guarantees for investors in case they can’t sell on the market, the token fell or nobody buys it. I am a generous person, let`s do so: our company has monetization from different sources, so let`s take out 20% of all profit of Showmebix companies every quarter and offer them on the market. We will buy out the tokens ourselves. This way we will support the course and guarantee our investors that they can sell at least part of their tokens, so I keep saying everybody:”Don`t worry. It is not a start-up”. We have a productive business. We have a big list of our client companies and cooperate with organizers and partners from 22 countries. We are going to fly to Malaysia on 1 – 3 March and meet again with the Association. We represent them again. It is very serious by us. Don`t worry! As you know, risks are like movements over time. It’s like when you had thought about 20% a month, but was given 18%. By the way, if the Expo is fully occupied, every Block will give 240%. It is if the coin costs 1 $. It`s a very interesting math. (that is 2,4$) goes to the investor. Everything is clear. The investor gets his 240%, given the ideal fulfillment, if the Expo coin costs 1$. What about the forecast? Is it going to be higher? You said 1,75, didn`t you? We have more news. When people read about that, they think that there is definitely a trick somewhere. Where`s a trick here? I will explain you. I has always been interested in money circulation. By the way, I was trained by Robert Kiyosaki in London. It is after his training when I became interested in circulation. After his couching we were given a home task: we had to choose whether to invest in stocks (it was very serious), real estate, or open a business. I was a just girl who stayed in London and had no money for real estate, so I decided to open my own business. I had a very cool construction company. It was working for 3 years. We built and restored large houses and castles in the countryside, but it is another story. Money circulations has always attracted me. I have been very interested in it. Let’s see. The gold lies in the bank. There is a guarantee for every gold coin, as every gold gram has its own currency – dollar. The gold lies in a bank, whereas dollars circulate between each other. A man can buy a glass of water for 1$. You take this money and buy a shirt for yourself or a friend, who will sell a shirt and pays for his new haircut. We did a lot and sold a lot of goods for 1 $. Do you understand? For 1$. I brought this idea to our project. The more goods circulation we create, the cooler we are. Expo-Block is a guarantee that you are already an investor. We have pre-ICO and three stages. First, you buy, then download the App, get bonuses according to our bounty-program. How many Expo coins you have in fact as of 1 August is exactly the same number of Expo-Blocks that you get. That`s like a certificate. You have 10 000 Expo-Blocks, you are getting dividends now. We don’t sell blocks, even in stocks. They have no exact price, and they exist, in fact. Whereas, coins are put into circulation by us. Investors will have both Blocks and coins. It’s clear it will be easier to sell coins. Why do you need 10000 coins? What are you going to do with them? The companies need them. What does it result in? The investor risks only to wait half a year, because after half a year he received his Blocks, coins. He sells coins at least at the rate of 1$ and returns his money, though in August the price is expected to be higher – 1,75$. As a result, he returns his money and get dividends. It is not a fantasy, there`s no trick. That is just circulation. Olga, what do you think about ICO market development in the world? I have analyzed much and got a very good experience in trading on the market. I understand that IPO has not run out of stream yet. The companies still collect a lot of documents, put themselves on IPO, make a public campaign and get rich. I think that ICO will also go into the category of great development and expansion for any start-ups, but only if these start-ups are really of high quality. I really hope that there will be some regulations, so that start up projects simply understand that what they can do and they cannot. I really hope for this. As you can see from our example: if the quality is confirmed, and you really get money, if there are no pyramids, but there are real circulations and real funds, all unnecessary companies will be eliminated and ICO will be strong. That is why I hope that it can become a perfect platform for at least another 10 years. ICO has the best future, if there are really good projects. What do you think about it? We have many different opinions from people, saying that in several months, all regulative mechanisms will kill ICO market. They believe it will live maximum for half a year. Other people say that this market will exist and develop for many years. It is very complicated to make a forecast and each opinion is very interesting. ICO will exist until every life and business spheres shift to Block chain. ICO is an idea: in tourism, medicine, space, car industry or any other industry. Everywhere where there is Block chain, there will be ICO. We have chosen Expo industry. Is there anything equal to Expo industry? No. Such virtual idea does not exist. There are similar portals where organizers should log in and set the information about themselves and their companies. Nobody will do it. They can just create some information event on the site and nothing more. At the same time, there`s been no Expo based on Blockchain yet, so we has taken the leadership. Someone may soon be surprised why there has still not been crypto currency for hairdressing saloon. ICO will live and get stronger until there are creative people in the world. Great! Let`s conclude. 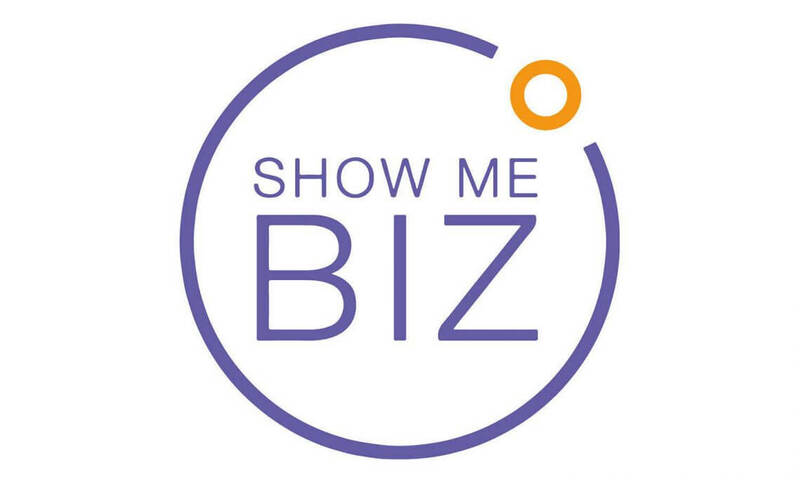 Tell me, please, why I should invest into Showmebiz? You should invest into Showmebiz only if you want to earn a good passive income, be honest, and be a part of the whole Expo revolution. I would say that the matter is not just in income, but it is also something like a wave… It`s an ideology. There will be less and less exhibitions as they are today in 5 years. I can explain, why. For example, you have some friends that go to different exhibitions in different countries. They find the big exhibition taking place in Hong Kong, travel million miles, pull their bags with them, pay for transport, come and see a small panel with LCD screen that shows just a cool promo-video. Then you think:”I go, God knows, where, to see your promo videos! Why can’t I see them on Youtube!”It is not beneficial for companies to pull all the equipment with them. Moreover, the quality of such exhibitions becomes worse and worse. Thus, there is a competition now because of large trading Centers and Expo Centers like the biggest ones in Kazakhstan and in Dubai. Small ones began to die out themselves because when, for example, Mercedes think where to go for profit: London, Dubai, or any small province, it`s clear that they choose the place, where they will be written and spoken about more. There is one more news proving that we are on the right way and making a good business. Mercedes announced that they would close most of their showrooms around the world starting from 2020 and turn into the showroom of virtual reality.